"We met with our Area Seventy to report to him what we did as an area to meet the outcomes of the then-priority 'reach one more.' He appreciated what had happened. We then counseled as to what we could do together to improve even more. "As we counseled, he began to receive promptings. 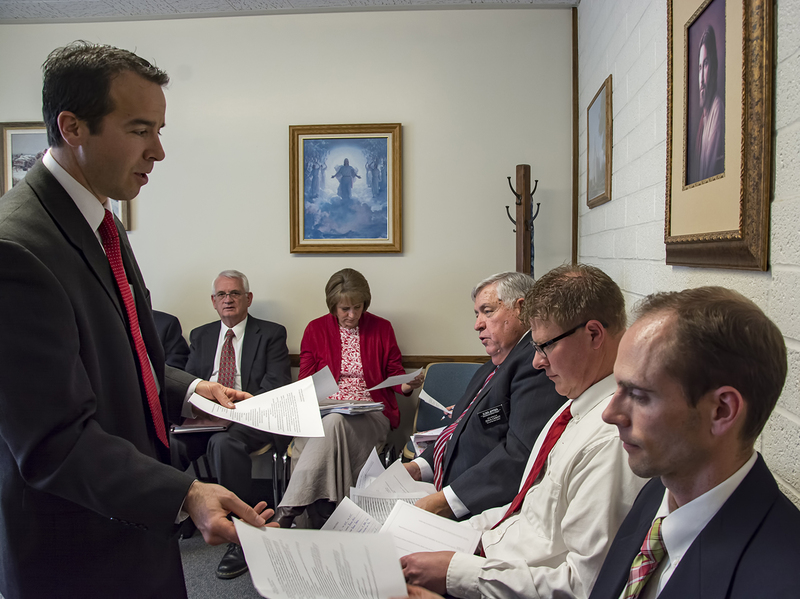 He decided to organize a meeting with the seminary council, teachers, and stake presidents. In this meeting, he taught them what we would do to invite more students to receive the blessings of seminary. He showed the video of Elder David A. Bednar of the Quorum of the Twelve Apostles teaching a group of priesthood brethren in England how to minister and invite more to come to church. In the video, Elder Bednar related an experience he had while he was the president of BYU-Idaho. President Henry B. Eyring was scheduled to come to speak at a devotional, so Elder Bednar directed members of his youth council to each invite four students to come to the devotional and to invite those four to each invite four more. On the day of the devotional, the gathering place was packed. "The Area Seventy held three separate meetings for three different high schools. All present were inspired to go and find one person and invite him or her to attend seminary. As a result, we added about 150 new students to our rolls."